In 1965 Neville Muir sponsored a deaf Korean child through World Vision. 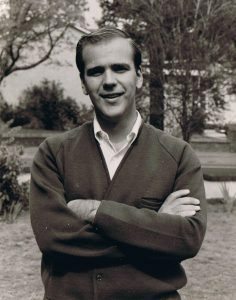 Little did he know that the simple act of sponsoring a child would lead to a life spent spreading the Christian message to deaf communities around the world. In 1979, Neville and his wife Lill moved to South Korea to establish a small church for the deaf in the basement of a Methodist church in the coastal city of Inchon. One of the four members of that first church was the boy Neville had begun sponsoring 14 years earlier. Over the next few years a further 13 churches were planted in South Korea, all of which are today served by deaf pastors. Since then, the mission has spread to 19 countries around the world where churches, schools, small factories, farm projects, dormitories and Christian centres have been established to bring aid and the message of Christ to the deaf. After coming under the umbrella of various other mission organisations since its inception, in 2000 Deaf Ministries International was established in Australia as an independent mission to the deaf. In 2007 Deaf Action was also established to focus on DMI’s aid and development projects. Approaching 40 years of ministry and the establishment of more than 180 churches is a history we praise God for, but we believe it is only the beginning. We’d love for you to join with us as we continue to bring aid and a message of hope to the deaf around the world.